Last week I began a discussion about the Three Questions (if you missed Part 1, you can find it here). These are the same three questions that everyone is silently asking you – your team members, your kids, your boss, your spouse, your clients – you name it. 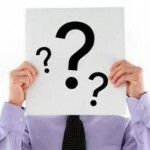 The questions may be subliminal and even subconscious, but they are still there nevertheless. Master the ability to answer these questions well, and your ability to connect with and influence others goes through the roof. Fail to answer the questions (or worse, answer them poorly), and connecting will be a struggle for you. As I mentioned in my last post, I really believe that the ability to connect is the key to success today. I also think that holds true in all areas of our lives, whether in the home, at work, in the classroom, or out with friends. In a time where communication is so often a text or a quick Facebook post, connecting at a high level is a lost art, or even forgotten altogether. Taking the time to really understand what people are after when they speak to us provides the opportunity to be better parents, better leaders, better salespeople, and better friends. Simply put, successfully connecting is one of the key components that separates excellence from mediocrity. Last week we began the discussion of Question #1 – “Can I Trust You?” Trust is such a key component in connecting. Effective parents have earned the trust of their children (and vise versa). Great leaders are trusted by their teams. The most successful teams trust each other. The client may buy when they trust the sales person, but they almost never buy when they don’t. And, regardless of how much time it can take to build trust, it can still be lost in a mere instant. At Integress, we teach something that we call The Seven C’s of Connecting. The first four “C’s” deal directly with this matter of trust. Last week I briefly discussed the first two – compassion and character. It’s pretty difficult to build trust today without either one. Compassion is a by-product of realizing that few really want to know what you’re “selling” until they know how much you care. Our character is usually defined by our actions – who we are, what we say and what we do – regardless of whether others are watching at the time or not. We’re being judged on how well we keep our commitments. Whether we like it or not, whether it’s “fair” or not, it’s happening nevertheless. When I promise my kids that I’ll take them to the pool after my work is done, they’ll be watching to see if I hold up my end of the deal. When a leader is scheduled to give her team member a performance evaluation, the team member will be watching to see if the evaluation takes place on time or is rescheduled. When a prospective employee shows up for a job interview, commitment to showing up on time for the meeting is one of the first things the potential new employer is looking for. The client may buy when they trust the sales person, but they almost never buy when they don’t. But commitment isn’t just limited to being on time, honoring our schedules and keeping promises. What about your commitment to a conversation? How do you handle someone who enters your office when you have a deadline on a project that must be met? What happens when you walk in the door at home after a long day, and your spouse wants to immediately start sharing about what happened to them during their day? Are you attentive, or do you find yourself only partially listening with your mind elsewhere? If you’re like me, this can be a struggle. Far too often in a conversation I find myself thinking ahead and formulating a response as the person is trying to share their thoughts with me. I really struggle with this. In his bestselling book, “The 7 Habits of Highly Effective People,” Stephen R. Covey wrote that “most people do not listen with the intent to understand; they listen with the intent to reply.” What a great statement. Make eye contact – G. Jack Brown, founder of Body Language Success in Las Vegas says that you should be making eye contact 40-70% of the time you are in a conversation. Go below the 40% mark, and trust is quickly diminished because you come off as disinterested. Exceed the 70% mark or simply stare at the other person the entire time, and you come off as confrontational or just plain creepy. Find the happy medium and show the other party that your interest and attention deserves trust. Disable the distractions around you – put the cell phone in your pocket. Turn off the social media. Close the emails for a few minutes. Chances are that the crisis in Outlook will survive five minutes without your divine intervention, and Facebook will go on and thrive perfectly well without you for a while. When you make a conscious effort to do this, the other person feels valuable and important, and trust deepens. Try it. Try it now. Just say out loud, “It’s not about me!” Feels a bit empowering, right? That’s because it is. Most successful people are that way because they recognize that their success is built around the inclusion and interests of the others around them. Yep. Just three little words. But oh so powerful. Husbands, I challenge you to start tossing those three little words your wife’s way and see what it does to your marriage. Parents, start using the phrase “Tell me more!” with your kids and watch their eyes light up. The best salespeople out there are masters at using this phrase in some variation. Remember, as human beings we love to talk about ourselves. When you give someone that green light, that invitation and encouragement to do so, amazing things happen to trust levels and the ability to connect. Anyone who has been successful with self-discipline in their life will tell you that a major key is consistency. Those that who have lost weight (and kept it off) will tell you that it’s what you do day in and day out that makes the difference, not what you do for a week. Talk with someone who has wealth reserved for retirement, and they will speak to the steady stream of deposits that were made month after month, year after year – creating an environment for compound interest to do its thing. Why has McDonalds sold billions of hamburgers all over the world for decades? We can certainly debate on the quality of the food, or mention the low prices. But here’s another reason: every time somebody goes to a McDonalds, they are guaranteed to get the same burger, prepared the same way, every time. McDonalds is second-to-none in this regard. They are the business world’s model for consistency. 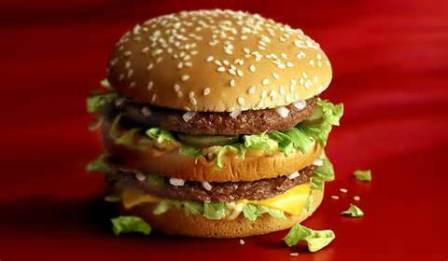 No matter what city or state you order a Big Mac in, you can pretty much count on that Big Mac looking the same, smelling the same and tasting the same every time. You can trust it. You can’t get much more consistent than this. What’s true for McDonalds is certainly true for us as well. We are judged by our consistency. When someone is wondering if they can trust you, they’re looking for that reliability. They’re observing if your behavior today matches your behavior from yesterday. Are you pretty much the same person at home as you are at work? Are you pretty stable emotionally, or do your moods jump all over the place from situation to situation? Simply put, as humans we trust things and people that show consistency and longevity in their actions and behaviors. Demonstrate that steadiness of action and you have our trust. Next week we’ll jump into Question #2 of the Three Questions. In the meantime, do you have any stories or insights that have brought you success in connecting with others? What do you personally do to grow trust in others? Please comment below and tell us! Dale Marcouillier founded Integress Solutions in 2011 out of a desire to share basic success principles with others. To find out how Dale can inspire and motivate your team or group with a practical and no-nonsense message, email him directly at dale@myintegress.com. Its really an inspiring article. I really loved it reading.